﻿ Best Books Network » Blog Archive » Get Ready! Get Set! Save!!! Get Ready! Get Set! Save!!! If you haven’t heard about the new savings craze, brace yourself! The next time you’re out shopping at the local grocer or pharmacy, see if you can spot a shopper armed with a binder. A binder, you ask? Why would anyone walk around carrying a binder while shopping? The simple answer…couponing. Super savvy shoppers have found a way for stores to practically pay them for shopping by wisely tendering coupons at the register. Couponing isn’t just about occasionally saving a few pennies here and there. It’s a lifestyle. Couponers approach saving from a different perspective than most shoppers. They don’t believe in paying asking price for grocery items, they pride themselves on matching coupons to sales cycles, and they stockpile goods for the long haul. Couponers know price match policies and which stores will double – even triple – the face value of coupons. I’ve long-considered myself a savvy shopper who knew about sales cycles and I could spot a good sale when I saw one. A few times each year, I take such great advantage of sales at Kroger, that I leave feeling like I’ve robbed them! I’ve been known to go crazy stocking up on $1.50 boxes of cereal and 25-cent cans of veggies in quantities that would sometimes draw stares from other shoppers. I carry a coupon wallet in my purse and use targeted coupons that Kroger mails directly to me based on my previous shopping habits. I’ve even loaded e-coupons onto my savings card and printed coupons from various online resources, but coupon queens put my shopping skills to shame with their ultra-keen savings strategies. So, I’ve decided to embark on a couponing journey to learn as much as I can about the strategy and will try it on my very next trip to the grocery store and pharmacy. I’ve already purchased a binder and dividers with inserts for coupons. All that’s left is to gather and organize coupons, familiarize myself with store coupon policies, match my coupons to sales cycles, make my shopping list, put on my walking shoes, and save! Sounds easy, huh? We’ll see! 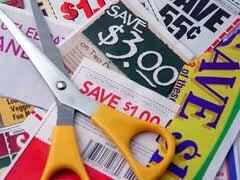 What couponing advice would you offer to an aspiring coupon queen? Post your comments here!